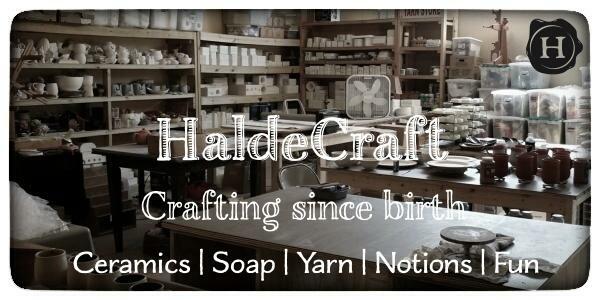 Thank you for supporting handmade, handcraft businesses! It feels as if time stopped in the languid heat of summer; but finally the season of Pumpkin Spice is upon us (and do we just love the color Pumpkin Spice) and temperatures are starting to cool down. Thoughts are turning towards knitted socks and crocheted afghans (we can help you with supplies for that), towards large mugs you can fill with hot chocolate (we can help you with that, too), and Holiday decorations are starting to hit the stores. As temperatures turn downright cold north of us (we hear you get this stuff called "snow") you might be stretching your wings and looking to get back some of your love of crafting back that you lost over the hot and busy summer. We have a guest blog post written this month with tips on how to get your craft mojo back when life has been too full or too busy and you've lost touch with your creative side. Have you lost and found your mojo? We'd love to hear about it in the comments! Thinking of ordering for the holidays? Most of you know that HaldeCraft moved to new headquarters this year, and summer has seen the new studio become more and more functional as I get more and more settled into my new digs and my new routine. Normally I have a cut-off date for holiday orders; this year I will be taking orders as late in the season as I can. Contact me whenever you want to place a custom order and we can talk about what you want, and time frames for getting that done. 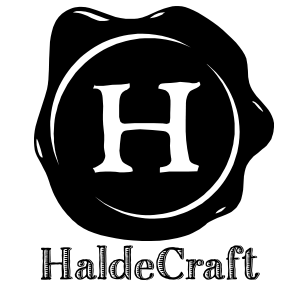 Thank you very much for considering HaldeCraft goods for your gift-giving. When winter holidays show up on the horizon, big retail companies start clamoring for your holiday dollars. I can't compete with their advertising budgets, but I can guarantee you a quality product made with mindfulness and joy, and the knowledge that you supported a small, one-person creative business. Thanks, y'all! 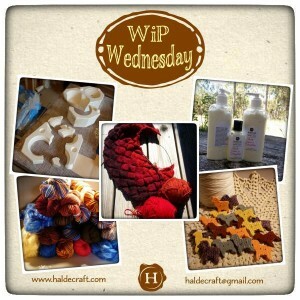 Read on for just a few specifics about ceramics, soap, and yarn! Some amazing things are coming out of the kiln these days. I'm working on stocking up for the Fall holidays and making sure favorites are in stock and on hand... and I'm coming up with a few new things as well. Expect new yarn bowls to hit the shop in about two weeks, as well as restocks of small African Violet pots, soap dishes, and of course, mugs! We just had a huge restock of soap - you can find all the soap here. In late November, a new soap fragrance will be coming to HaldeCraft; Brown Sugar and Spice. If you're one of the first 24 people to order something that ships between November 1st - 25th, you'll get a free sample of this sweet new fragrance in your package! Have you seen the new colorway, Purple Rain? Available in both yarn and fiber, this color is turning out to be a hit! Also a hit? The limited return of Sweet Baby James, in almost every base yarn! And if you're shopping for a yarn lover but are overwhelmed by choices, why not look at these stitch markers? 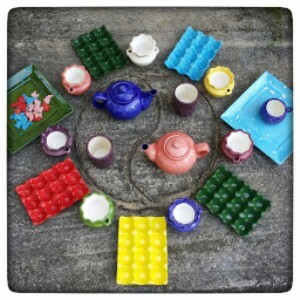 Great for knitters and crocheters alike! Get involved in the conversations! Fibernerd recently wrote a guest post on getting your craft mojo back, on Wednesdays I can sometimes be found talking about what I'm working on during the week (and I'd love to know what you're working on), and of course here and there there's a studio update. Is the blog missing something you'd like to hear about? Drop me a line with your content suggestions! Don't stop reading, we saved the best for last! 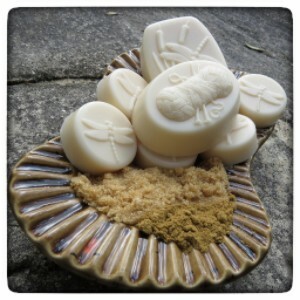 - Plan your 2016 soap needs! Get a bar of soap mailed to you once a month - never worry about running out again! - A handful of decorative ceramics have just been moved to the sale section. - Discontinued base yarns Gentle and Delany have been moved to the sale section (no need for a coupon code, the discount is automagic). - Did you know that hand lotion is back? - Sunday, November 1st, six soap fragrances will be discontinued and moved to marked-down soap (fragrances will be announced that week). 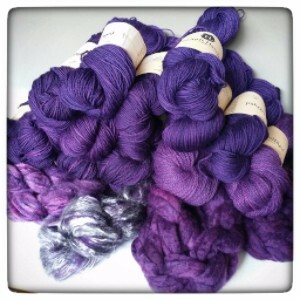 - Sunday, November 1st, the next round of yarn club opens up for spots. - During the first week of November, a new luxury base yarn (familiar to those in club), Yolen, will be brought in as a regularly stocked base yarn and will be available in all current colorways. - Sunday, November 8th, select base yarns will go on sale, as will one colorway that is being discontinued. - Sunday, November 15th, more ceramics will be added to the sale section. And that's all, folks! Thanks, y'all! Taken a look at HaldeCraft lately? Copyright © 2015 HaldeCraft, All rights reserved.